Start with pre-built form templates to save even more time. WPForms is 100% responsive meaning it works on mobile, tablets & desktop. Respond to leads quickly with our instant form notification feature for your team. View all your leads in one place to streamline your workflow. Easily embed your forms in blog posts, pages, sidebar widgets, footer, etc. Our smart captcha and honeypot automatically prevent spam submissions. 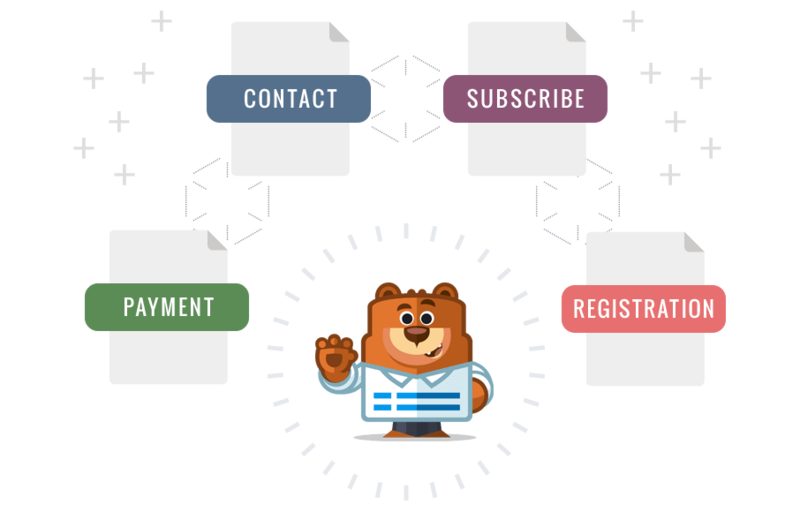 WPForms is the perfect solution for YOU. Here’s why over 2,000,000+ smart business owners, designers, and developers love WPForms, and you will too! Building forms in WordPress can be hard. WPForms makes it easy. While our WordPress form builder is very easy to use, we created smart workflows to save you even more time. 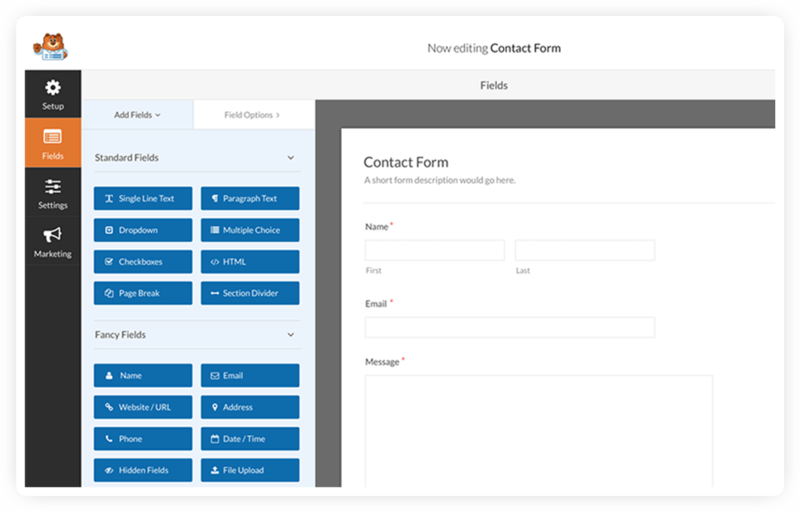 WPForms comes with pre-built WordPress form templates that can be easily customized, so you don’t ever have to start from scratch unless you want to. From radio buttons to file uploads to multi-page forms, we have all the fields you need. Easily integrate your WordPress forms with an email marketing service or collect payments for bookings and orders. 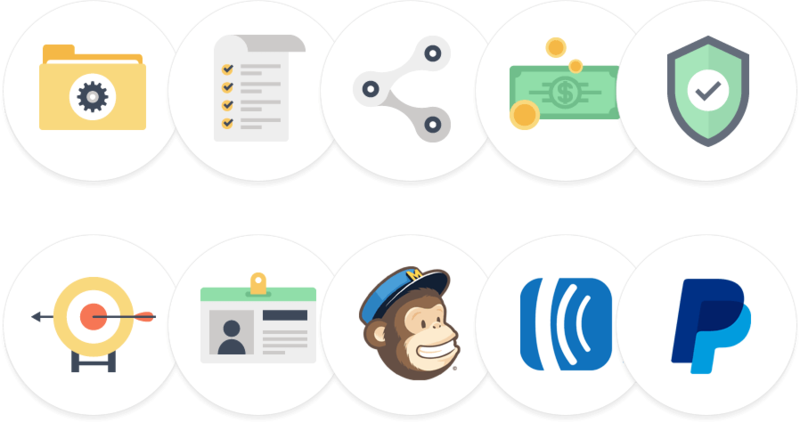 WPForms allows you to do it all. Completely customize your WordPress forms with section dividers, HTML blocks, and custom CSS. [+] Who should use WPForms? [+] What’s required to use WPForms? [+] Do I need coding skills to use WPForms? Absolutely not. You can create and manage forms without any coding knowledge. WPForms is the most beginner friendly contact form solution in the market. [+] Will WPForms slow down my website? Absolutely not. WPForms is carefully built with performance in mind. We have developed everything with best practices and modern standards to ensure things run smooth and fast. [+] Is WPForms translation ready? Yes, WPForms has full translation and localization support via the wpforms textdomain. All .mo and .po translation files should go into the languages folder in the base of the plugin. The same is true for every WPForms Addon as well. [+] Does WPForms work on non-WordPress sites? No. WPForms is a WordPress forms plugin, so it will NOT work on sites that do not use WordPress. Additionally, WPForms is not compatible with the WordPress.com platform. You must be using a self-hosted version of WordPress to utilize WPForms. [+] Can I use WPForms on client sites? Yes, you can use WPForms on client sites in two ways. Either you can purchase the Pro/Agency license OR purchase an appropriate license for each client sites (yes you can refer them and earn 20% commission through our affiliate program). [+] Do you have an affiliate program? Yes we certainly do. We would love to have you as a partner. Visit our Affiliates page to learn more about becoming an WPForms affiliate. We were tired of the bloated and buggy contact form builder plugins. With our online form builder workflow, you can create responsive WordPress forms in 5 minutes or less. WPForms is consistently voted the best WordPress form plugin by industry authorities such as WPBeginner, ElegantThemes, ArrayThemes, and StudioPress. 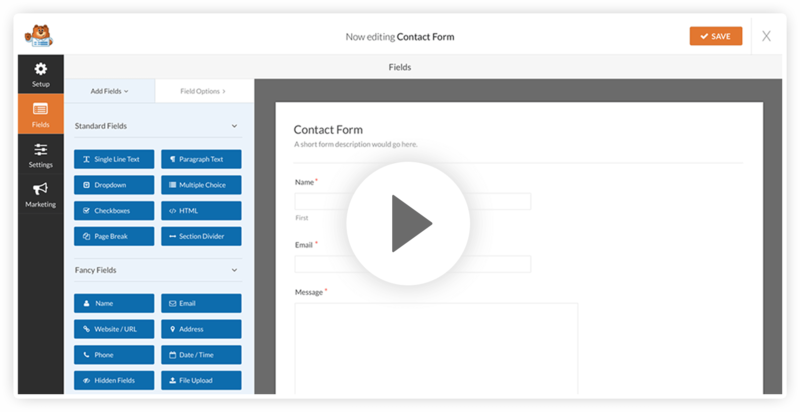 With WPForms Lite, we created the most beginner friendly WordPress contact form plugin. You can start with our built-in WordPress contact form template or create an entirely custom WordPress form. WordPress contact forms created with WPForms are 100% mobile responsive meaning your contact forms will always look great on all devices including desktop, mobile phones, tablets, and laptop computers.